Your girl's cookie-selling season is about to get sweeter. Hey, smart cookie, let's stay in touch. Stick with us beyond cookie-selling season to get the latest news, big ideas, and book talk from The Startup Squad. 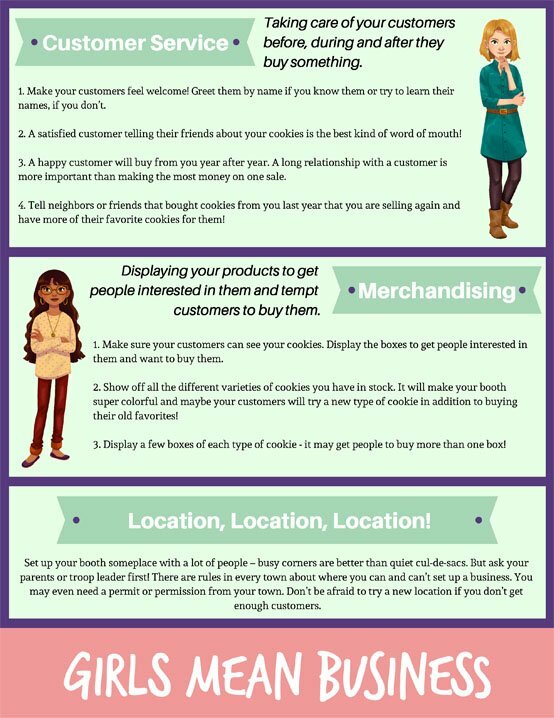 Used by over 250 cookie sellers, our proven tips for marketing, selling, merchandising, location, and customer care are designed to make your 2019 cookie season the best one yet. Display the cookies to attract attention. Talk comfortably with strangers (aka: customers). Build customer relationships that will last. Speak confidently and intelligently about your products. Position the booth in the best location. Bake your season better with tips to help your girl become the smartest cookie on the block. Download them now and get a sneak peek of The Startup Squad’s first book, coming May 7. 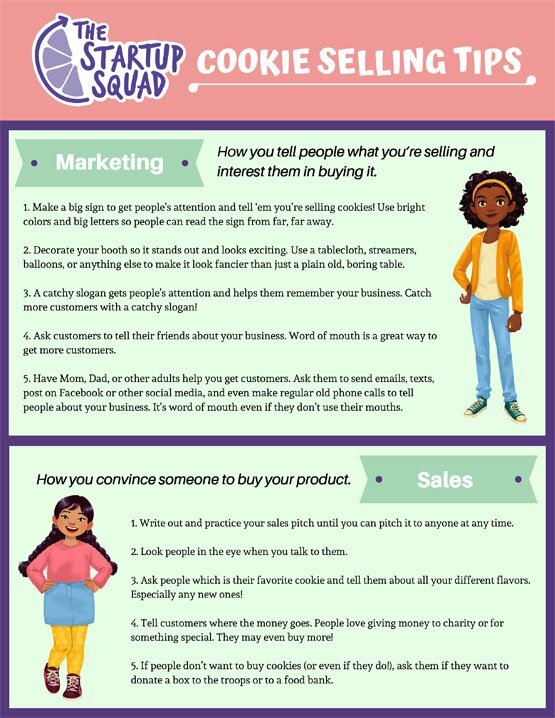 Also, be sure to check out our book club for reviews of books that’ll help your little cookie seller hone her business skills and embrace her inner entrepreneur. Be the first to know about our new book releases, cool contests, and girl-inspired stories.